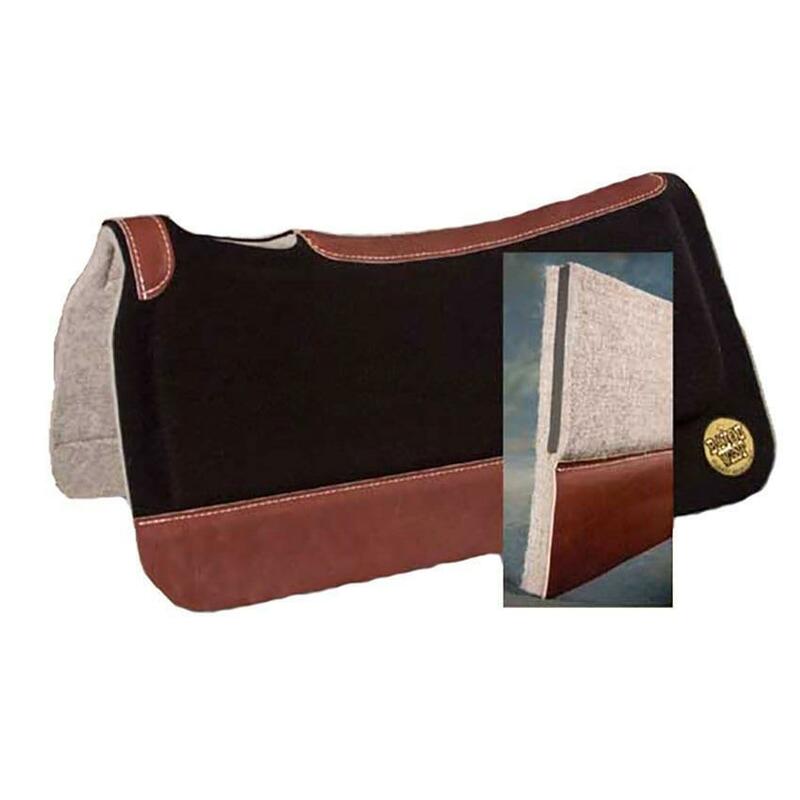 Using the same concept as the contoured pad, neoprene is inset within the layers of this pad, benefitting the rider and the horse. 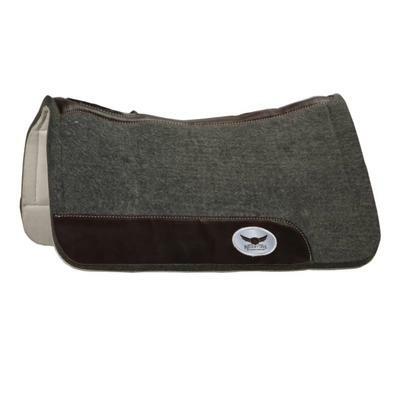 The horse's load is lightened because the neoprene doesn't extend fully across the pad and it allows the saddle rigging to fit more naturally and securely, thus adding to the horse's overall comfort. 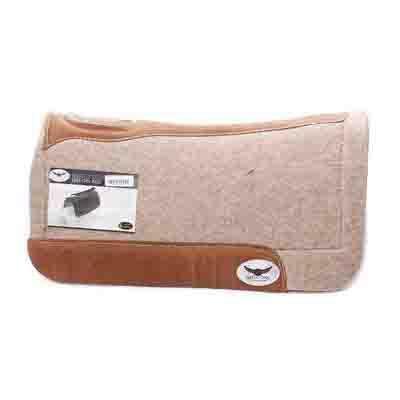 Rider's benefit is having a closer feel with the horse. 1" pad measures 31" x 32", in Grey.